For almost a century archaeologists have been braving the wind and rain on an exposed Welsh hillside in an attempt to solve one of the key mysteries of Stonehenge. But new research about to be published suggests that over the decades they may have been chipping away at the wrong rocky outcrop on the Preseli Hills in Pembrokeshire. The work in the hills is a crucial element in the understanding of Stonehenge because it is generally accepted that the bluestones that form part of the ancient Wiltshire monument came from this remote spot in south-west Wales. One of the many huge puzzles remains how the bluestone from Wales travelled 190 miles to the heart of south-west England. Since the 1920s much of the work in Preseli has focused on a spot known as Carn Meini. Now researchers are claiming that in fact the Stonehenge bluestones actually came from Carn Goedog – almost a mile away. Richard Bevins, keeper of geology at the National Museum of Wales and one of those involved in the study, suggested he was not going to be terribly popular with some fellow experts. “I don’t expect to be getting Christmas cards from the archaeologists who have been excavating at the wrong place over all these years,” he said. The celebrated geologist Herbert Henry Thomas linked the Stonehenge bluestones with Preseli in 1923 and pinpointed the tor on Carn Meini as the likely source. Over the years teams worked assiduously on the spot searching for evidence of a Stonehenge quarry. Two years ago there was excitement when a burial chamber was found, leading to speculation that this could be the resting spot of an architect of Stonehenge. Now, using geochemical techniques, Bevins and his colleagues have compared samples of rock and debris from Stonehenge with data from the Preseli site and concluded the bluestones in fact came from Carn Goedog. There are different theories about how the bluestone may have got to Wiltshire. Some believe it was laboriously transported by man but there is another theory that it could have been swept east by glaciers. 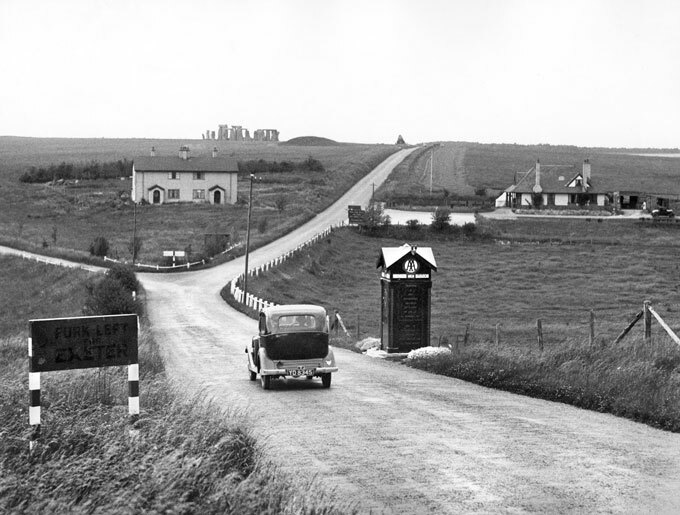 Bluestones are believed to have arrived at Stonehenge about 4,500 years ago. Some experts believe the bluestones – rather than the much larger sarsen stones that give Stonehenge its familiar shape – were the real draw because they were believed to have healing powers. The paper setting out the discovery is to be published in the Journal of Archaeological Science. Visit Avebury. The largest prehistoric monument in England. Avebury Stone Circle rivals – some would say exceeds – Stonehenge as the largest, most impressive and complex prehistoric site in Britain. Built and altered over many centuries from about 2850 BC to 2200 BC, it now appears as a huge circular bank and ditch, enclosing an area of 281 ⁄2 acres (111 ⁄2 hectares), including part of Avebury village.Within this ‘henge’ ditch is an inner circle of great standing stones, enclosing two more stone circles, each with a central feature. The site’s present appearance owes much to the marmalade heir Alexander Keiller, who excavated and re-erected many stones during the 1930s, and whose archaeological collections are displayed in the nearby museum. Many stones had been broken or buried in medieval and later times, one crushing its destroyer as it fell. 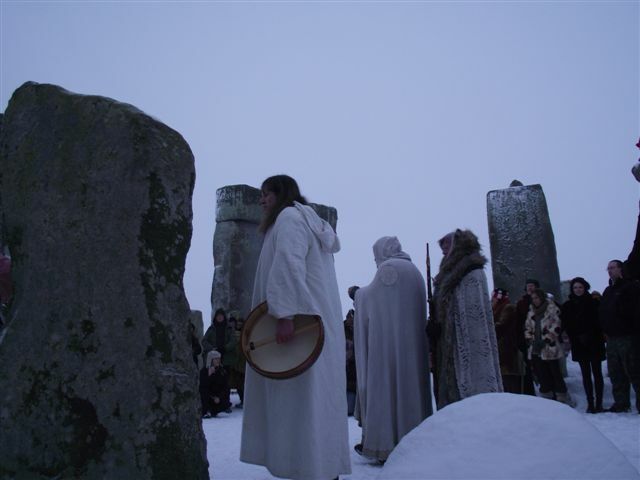 Avebury is part of a wider complex of Neolithic and Bronze Age monuments, with many other ritual sites in English Heritage care. West Kennet Avenue joined it to The Sanctuary, and another stone avenue connected it with Beckhampton. West Kennet Long Barrow and Windmill Hill are also nearby, as is the huge and mysterious Silbury Hill. This extraordinary assemblage of sites seemingly formed a huge ‘sacred landscape’, whose use and purpose can still only be guessed at. Avebury and its surroundings have, with Stonehenge, achieved international recognition as a World Heritage Site. Avebury Henge and Stone Circles are in the freehold ownership of The National Trust and in English Heritage guardianship. They are managed by The National Trust on behalf of English Heritage, and the two organisations share the cost of managing and maintaining the property. Take a tour of Stonehenge and discover more about the neolithic man and the landscape they shaped. At Avebury, walk amongst the stones, visit the Alexander Keiller Museum to find out about the arcaeological excavations Keiller did in the 1930s and visit the Avebury Manor and Garden, nearby West Kennet Long Barrow. The Henge Shop – a unique location in the centre of Avebury, the largest prehistoric stone circle in the world. English Heritage – Avebury Stone Circle. Follow Avebury Stone Circle on Twitter for all the latest news and events. Clonehenge Birthday Cakes: Give Us Them! Attention hengers of all kinds: Clonehenge’s 5th birthday is coming up on the 20th of this month, and what better way to celebrate than with photos of Stonehenge cakes? Your challenge is to make a Stonehenge cake (or other dessert of your choice), and send us a photo (nancy (dot) wisser (at) gmail.com), or post it to our Facebook group or page, or address it to us on Twitter, @Clonehenge. These can be brilliant or lame. They don’t even have to be cakes. Any sweet goodie roughly Stonehenge-shaped will do. We’ll love them regardless! We’ll post the pictures on Facebook, on Twitter, and on the Clonehenge blog itself, and then you get to eat your entry! You make it, we post it, you eat it. Yum! Happy birthday to us. Hengers, you may start your ovens! The first phase of the long-awaited improvements of the visitor experience of Stonehenge will be launched to the public before the year is out. 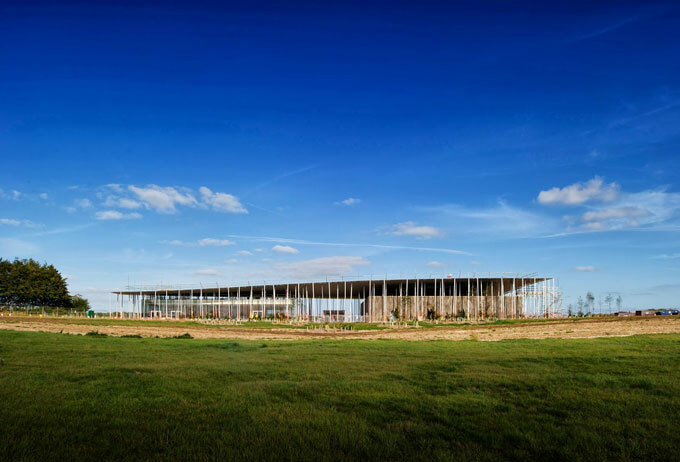 English Heritage, which looks after Stonehenge, explained that the new building – located 1.5 miles from the World Heritage Site in Wiltshire – will house the first ever museum-quality permanent exhibition dedicated to the site. 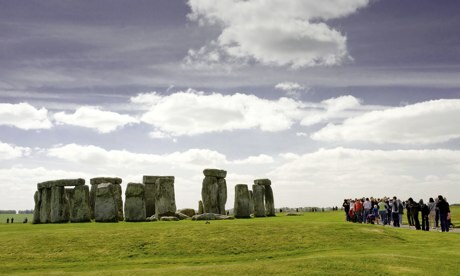 The exhibition is to be curated by English Heritage experts and will include a 360-degree virtual experience so that visitors can ‘stand in the stones’ before they enter a gallery presenting the facts and theories surrounding the monument through various displays and nearly 300 prehistoric artefacts. The archaeological finds exhibited were all discovered inside Stonehenge and many are on public display for the first time.